Creating customer case studies as part of your marketing plan is one of the most compelling ways to show people exactly what your business can do. While your business has numerous marketing strategies in place, case studies are often overlooked as part of that strategy. Case studies provide your potential customers with an understanding of the results your business can deliver. Case studies make your business more relatable because your potential customers can see themselves in your customer stories. For someone deciding whether or not to do business with your company, seeing the success stories of past customers can the tipping point that makes them say “yes” to your product or service. 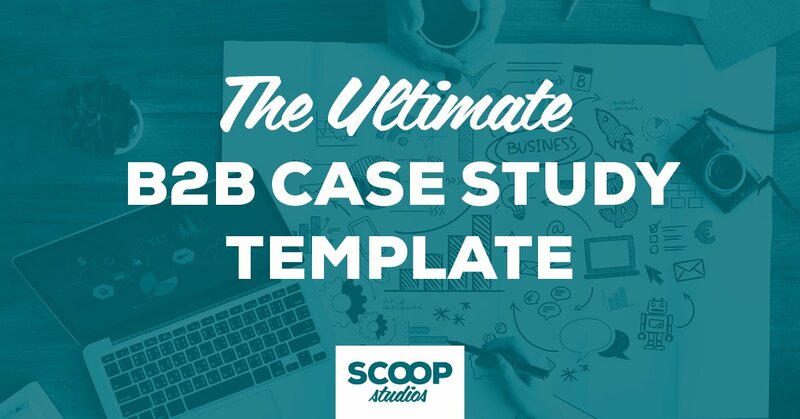 Like any other content, there’s an art to crafting a case study that will speak to your audience. Not all customer case studies are created equal, and a poorly written case study can do the opposite of what it’s designed to do. After years of crafting these case studies, we’ve learned exactly how to create a customer case study that gets results. We live in a world where we are inundated with information and spend copious of time online. Because of this, our attention spans are shorter and the stories that used to move us are starting to impact us less than they used to. This means that now, more than ever, we need to share stories that connect with our audiences and leave a lasting impression. You may have the best sales page or demo in the whole world, but a bunch of bullet points about features don’t speak to potential customers the way a real-life example does. You need to show people what working with you is really all about and paint a picture of their before and after. Most websites share testimonials from their customers, but those aren’t going to be as compelling as a case study. 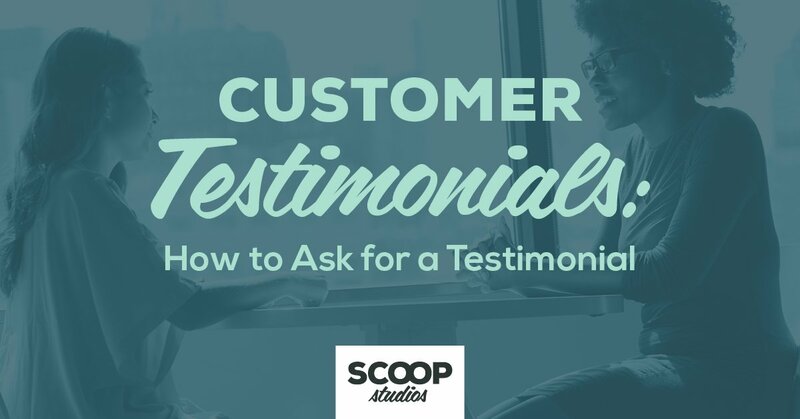 A testimonial only provides a small glimpse into the whole story, and it’s not always enough information to help a potential client make a decision. What makes a case study different is that it offers the complete picture. You find out where the client started from and what problem they were trying to solve, what happened through the process of working together and what the outcome was. It’s this detail that lets people connect to your case study and see how your product or service can benefit them. One of the biggest benefits you can see from a case study is tangible ROI. 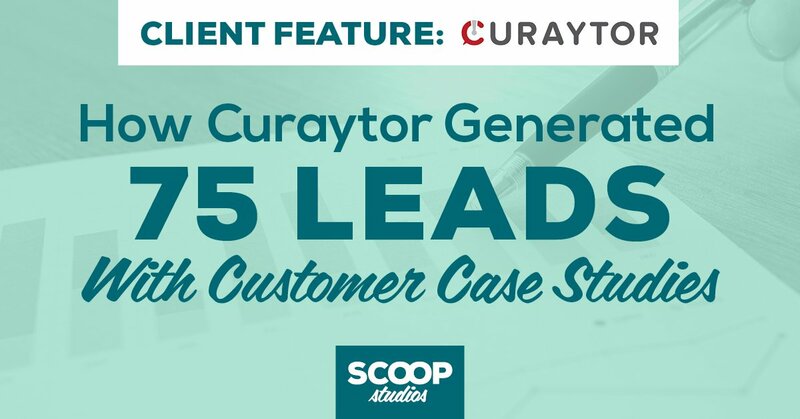 Case studies are a proven strategy to generate more leads, move people through your funnel, and convert a potential customer into a paying one. If you’re not creating case studies as part of your marketing and sales programs, you’re missing out on an opportunity to show your leads — and not just tell them — what you can do. Not every client is going to be the right fit for a case study, so you need to be selective with who you approach. Everyone is busy, and you’re asking them to take time out their day for a questionnaire or interview so making it as easy as possible to participate is essential. Fortunately, there are some tactics you can employ to increase the likelihood of getting a yes, and that starts with targeting the customers you already have an excellent rapport with. These are people who love what you do and would be happy to help promote your brand. If you don’t know who these people are, the best thing you can do is talk to your sales and support teams and come up with a list of clients that have seen some strong results from working with you. The important thing here is to do your homework before you start contacting people to ask for an interview. If you know someone on the list of your potentials is in the middle of a big launch, or it’s their busy season, now is most definitely not the time to ask them. Keep in mind that people won’t automatically know what you mean when you ask if they’d be willing to participate in a case study, so you should have a clear outline of what will be expected of them. You want to share this upfront so they know exactly what they’re agreeing to before you get started. Enticing them by showing how this will be a win for both of you is going to go a long way towards getting a yes. Most of all, you want to go into this process assuming the answer will be a yes. Consider how to position it in a way that’s specific to each individual you ask so they can easily agree to participate. If you’re looking to make creating case studies an ongoing task for your business, then investing the time to create procedures and templates is an excellent way to refine your process before you start. You can define your criteria for who to ask, create email templates for requests, and come up with a list of basic questions that can then be customized depending on who you interview. Now that you have nailed down who to ask, it’s time to focus on what to do once the customer says yes. It all starts with the interview and ensuring you’re well prepared. Taking some time to get organized before you meet is your first step. If you don’t already have an interview guide created, begin with this task. You want to customize your questions to hone in on the interviewee’s specific situation, so if you haven’t been the one working with them directly, you should look to your team for some insight. Your list of questions should include asking about whatever challenges they were facing in their business, the solution, and the results achieved. You’ll also want to include some questions that focus on their experience with your company. The next step to your preparation is to make sure your customer knows exactly what the process will be. Address any questions they may have, provide them with questions in advance, and confirm that they understand and are comfortable with how the case study will be used once it’s created. Just like your customers, your day is also probably busy, so you’ll want to leave yourself a little bit of time to prep and get focused before you actually start speaking to your customer. They deserve your full attention, so you’ll need to minimize distractions and ensure you’re ready to chat. Once you’re actually ready to start interviewing, the first few minutes should be spent putting your customer at ease and setting expectations for what’s to come. One of the trickiest aspects of getting a solid interview is dealing with people whose answers lack detail or don’t provide the information you need. This is why you have to be prepared to ask some leading questions when needed. Sometimes, people just don’t deliver the answers you were expecting, so rephrasing questions to be more specific can help them open up. What you want to avoid is being overly scripted. Yes, you need a plan and will have predetermined questions to ask, but a great interviewer is willing to roll with whatever direction the conversation takes. Sometimes, the answer to one question ends up providing the details you need for a different question. When someone says something that you know is going to make for a great quote, pursue it. Ask follow-up questions and be comfortable with going off-script. With the interview completed, the next step is to write your case study. Before you even get started writing, you need to decide who you are targeting with this case study. Are you gearing it towards a small business or a large corporation? Whoever the audience is, you want to create a case study that is both relevant and compelling. Case studies are used as a marketing and sales tool, so you want the content to support the goals of your target audience. One of the pitfalls of creating multiple case studies is that they can become repetitive. The last thing you want is for someone to come to your website and read five stories that all seem to follow the same formula. That’s why each story needs to have its own individual flavor. The features and benefits may be the common theme for all of your stories, but it’s up to you to highlight what makes each story stand apart from the others. In addition to writing each case study in a way that showcases each customer’s individual journey, you also want them to be the hero of the story. Yes, you’re using their story as a marketing tool, but it’s not all about you. Your goal is to have potential customers read these stories and instantly relate to the content so they see how your company can help solve their challenges. Not only do people want relatable stories, but they also want stories that share real results. Now, you may encounter some customers who aren’t willing to share hard numbers, but whenever possible, you want hard data to back up your stories. This may mean having a second conversation with someone else in the same organization or having to spend some time doing research. This is time well-spent as the best case studies show potential customers the value you can bring to their organizations in addition to the benefits of your product or service. Should you have someone who isn’t willing to share their name, it may be best to forgo writing up a case study for their organization. Readers are always skeptical of anonymous sources, and not having a real person and business to link the case study to likely won’t convince anyone to work with you. Now that you have your case study written, it’s time to make the most of them. While your initial instinct may be to put them on your website, this should just be the start! Case studies can be used in a multitude of ways as part of your sales and marketing plans. Here are just a few ideas on how to get your case studies working for you. Your website: Add case studies to the homepage, product pages, or sales page to add credibility and establish authority. Sales presentations and other sales related collateral: Use your case studies to reinforce benefits, highlight successes, and show potential customers what your business can do for them. Speaking engagements: Use a case study to highlight your topic, showcase yourself as an expert, and share the results your business can achieve for your clients. Ad campaigns: Customer stories as part of your ad campaign are a great way to capture attention and differentiate from your competition. Webinars: Using a case study as a related example during a webinar allows you to provide relevant and timely information to your audience. Video content: Video case studies are even more compelling than a written one and can be used on social media, in presentations, and on your website. Social media: Case studies on social media can take on many forms. Individual quotes, a showcase of results, or a shortened version of the original story. Email marketing: Whether you include a customer story as part of a sales funnel, as part of your welcome sequence for potential customers, or to highlight as part of your weekly newsletter, there are multiple ways you can incorporate customer stories into your email marketing. Blog posts: Written case studies can be repurposed to be used as blog posts that tell a story, and show potential customers researching your business what sort of results you can deliver. Whitepapers: A series of case studies can be used as the basis for a Whitepaper, or they can be used as a supporting example within a Whitepaper. Proposals: Providing a snippet of a case study that’s relevant to a proposal can be a powerful way to help you get a yes from a potential customer. Infographics: Used as a standalone or part of a broader marketing strategy, infographics can be an excellent option to share a case study in a way that’s visually interesting and different from the usual two-page story. In the media: Case studies are proof that you deliver what you promise and can be used as part of a media appearance. You can engage your case study clients as part of the story and have them share what it was like to work with your business. Should You DIY Your Case Studies? While you may initially think creating a case study that’ll get results seems easy enough, there’s an art to writing them in a way that inspires your audience to take action. If you want case studies that are designed to get results, it’s worth looking at hiring an expert to write your case studies. An amazing case study isn’t just about asking some questions and writing up a story. It’s discovering the small nuances that make each story stand out, and an expert is trained to spot stories and glean insightful information during the process of speaking to interviewees. Effective interviewing is its own skillset and an experienced case study writer brings that to the table. Interviews can sometimes be tricky, and even though they may have said yes, not every participant is going to be easy to draw answers out of. Having someone who knows what to ask, when to change direction and when to pull at the little threads to find interesting themes within the story can make a huge difference in your final product. There’s also something to be said about having a neutral third party speak to your customers. They’re speaking to someone who has no stake in the outcome, so this creates a safe environment for them to share freely and be completely honest. It also shows that your business is taking this seriously and wants to create the absolute best case study for both yourself AND the customer. A professional writer skilled in case study writing can work with your business to help you determine your best case study candidates or even come up with ideas to help your staff identify potential participants. They provide the outside perspective needed to put together the best case study process for your business. Case studies have become a more widely used marketing and sales tool, and while many businesses know they need to start creating them, the time to do so isn’t always there. With so many priorities on the list, writing case studies may not get the time and attention it deserves, so hiring someone to take care of this can be a viable solution. Even if you do have someone skilled enough to do the actual writing, executing the entire case study process from start to finish can be overwhelming. From identifying candidates, to scheduling and conducting interviews and then crafting the case study, there are a lot of moving pieces that need to be cared for. Hiring an expert to take over the process means you can hand it off completely, and leave the heavy lifting to a professional. 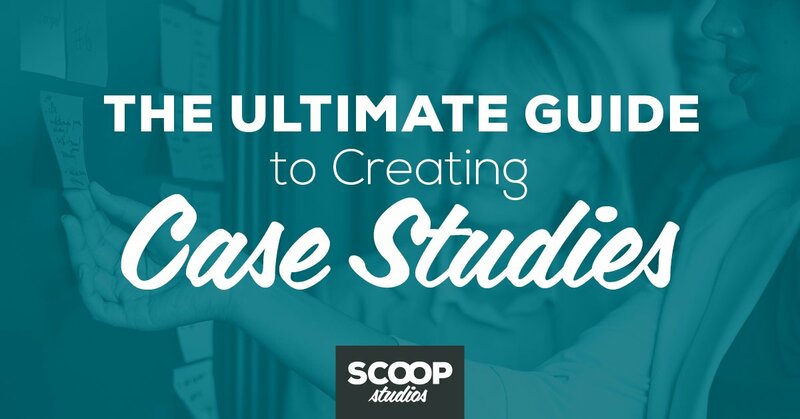 No matter which route you decide to go with your case study creation, the bottom line is that case studies are here to stay, and if you’re not already using them, you should be. Case studies show value and worth to your potential clients, and without them, you lack the social proof they’re looking for. Through case studies and testimonials, people will know exactly what they’re getting when they work with you and how it can positively affect their bottom line.